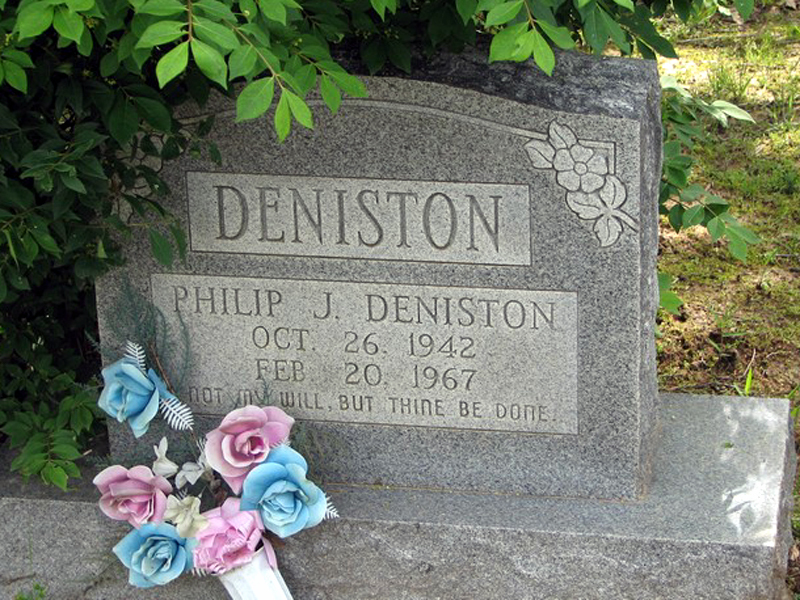 SCVHistory.com HM6301 | People | Comatose Bus Crash Victim Philip J. Deniston, 1963. Marker at Blooming Grove Cemetery in Clay County, Ark. 1963: Navy sailor Philip J. Deniston* (b. Oct. 26, 1942), of Tulare (originally from Arkansas), lies in a coma roughly a year after he was injured in a Greyhound bus crash near Castaic. The southbound bus slammed into a grain truck that had just pulled onto the fog-shrouded Ridge Route in the early hours of Oct. 12, 1962. 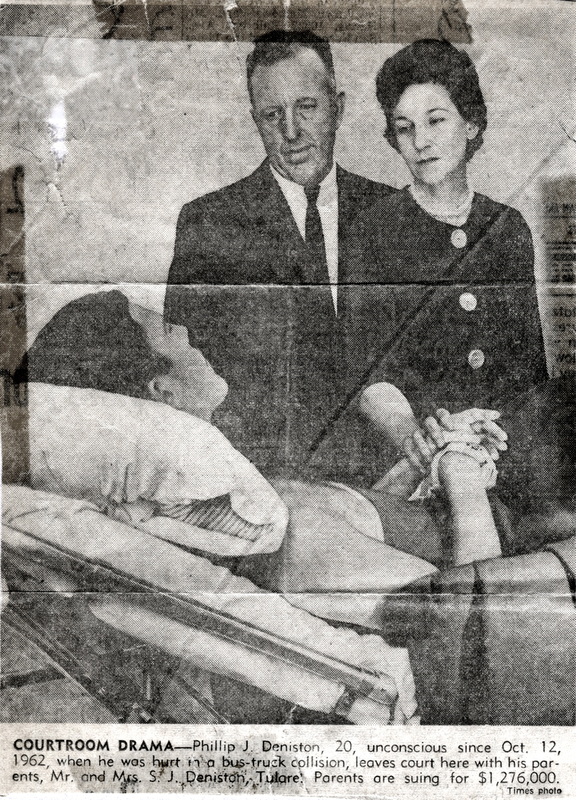 Caption reads: "Courtroom Drama  Phillip J. Deniston, 20, unconscious since Oct. 12, 1962, when he was hurt in a bus-truck collision, leaves court here with his parents, Mr. and Mrs. S.J. Deniston, Tulare. Parents are suing for $1,276,000." The sailor, who occupied a bed at Santa Clarita Hospital in Saugus (later called Inter-Valley and Hillside) for a year while his family sought to recover damages, was eventually transfered to a hospital out of state. He never regained consciousness and died Feb. 20, 1967. His parents were awarded $429,102.07 of a total sum of $660,008.62 that was awarded to multiple victims  then the largest jury award in Los Angeles County history for a single collision. 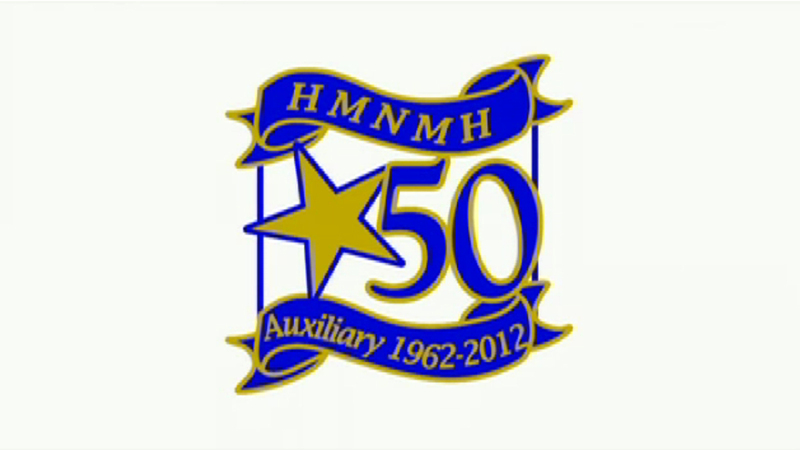 The crash instigated the formation of the SCV Women's Auxiliary, which evolved into the Henry Mayo Newhall Memorial Hospital Auxiliary (Volunteer) organization. * According to his grave marker in Arkansas, "Philip" had one "L."
Further reading: Volunteers Pave the Way to Henry Mayo Hospital.